Join us in kicking off HCX’s 2nd Biennial Selebrasyon!, New York City’s only festival dedicated to promoting the very best of Haitian Arts & Culture. 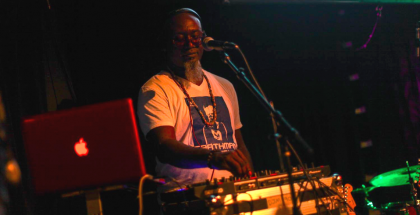 Born in Haiti, raised in Montreal, Canada, and New Jersey, DJ Hard Hittin’ Harry, is a 30+ year veteran making it happen all over the clubs, mix tapes, internet, and television. Currently residing in Brooklyn, DJ Hard Hittin Harry entertains his audience blending unique styles of the latest and classic Hiphop, R&B, Soul, Funk, Reggae, Pop, Rock, Soca, Afrobeat, Haitian Kompas, Zouk, Kwaito, House, Techno, and much more. Singer, percussionist, and bandleader Jean Dorce, known as “Jakobo” by friends and fans, founded his group, Akbadja Zile in 2012. The band brings World Beat to new vibrational levels by presenting fusion music based firmly in the spiritual traditions of rural Haiti to new audiences. 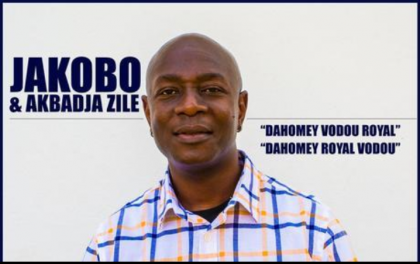 Akbadja Zile’s emphasis on traditional Haitian rhythms such as Dahomey, Nago, Congo, and rara, is a wake-up call to Haitians both at home and in the diaspora, as well as to World Beat fans around the world. This entry was posted on Wednesday, April 20th, 2016 at 3:39 pm	and is filed under Arts, Crafts, Dance, Events, Exhibitions, HCX Programs, Music, Photography, Selebrasyon!, Uncategorized, Visual Art, Weekend. You can follow any responses to this entry through the RSS 2.0 feed. You can leave a response, or trackback from your own site.